CONCERT & FESTIVAL MERCH — DEMAND NATIONMADE! 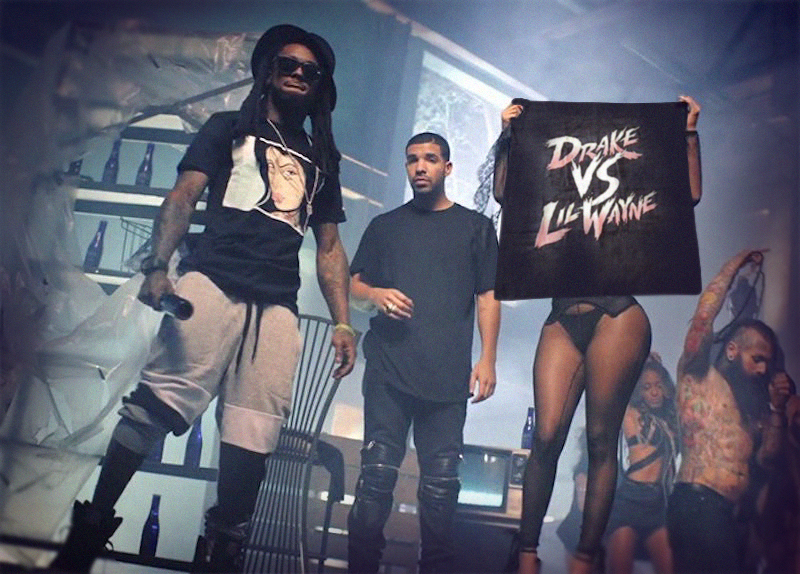 CASE STUDY: DRAKE VS. LIL' WAYNE. In a concert tour with two headliners, both teams manage the merch for the tour. In this case the duo were gifting beach towels for their VIP as a joint gift, with one management team being responsible for the production. 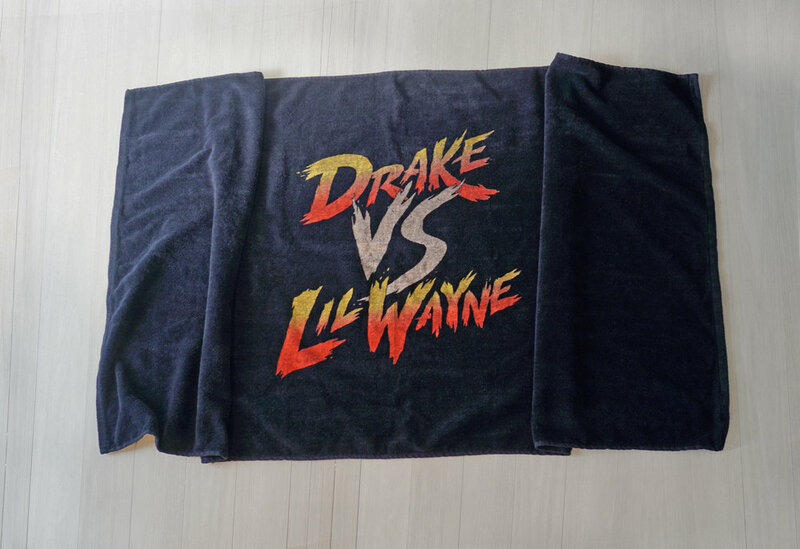 The sample towels were printed with heavy plastisol ink, and were unusable. The second team approached Nationmade for a solution, and we found 1000 available black towels with a reactive dye base. We were able to discharge print (a process where the black ink is pulled from the fiber, much like bleaching. Then other soft water-based inks are printed in the place of the original black fabric). Finally the product was drop-shipped the day of the concert in Phoenix. The towels were printed in Chicago, IL. CASE STUDY: KAABOO CONCERT TEE. Concert organizers were still setting up the first festival in Del Mar, CA when they agreed to sponsor a 10k race as the intro to the festival marketing. Nationmade designed and produced the tee in 6 days. Tee from Los Angeles and printed in Boulder CO.
CASE STUDY: STS9 FESTIVAL TEE. 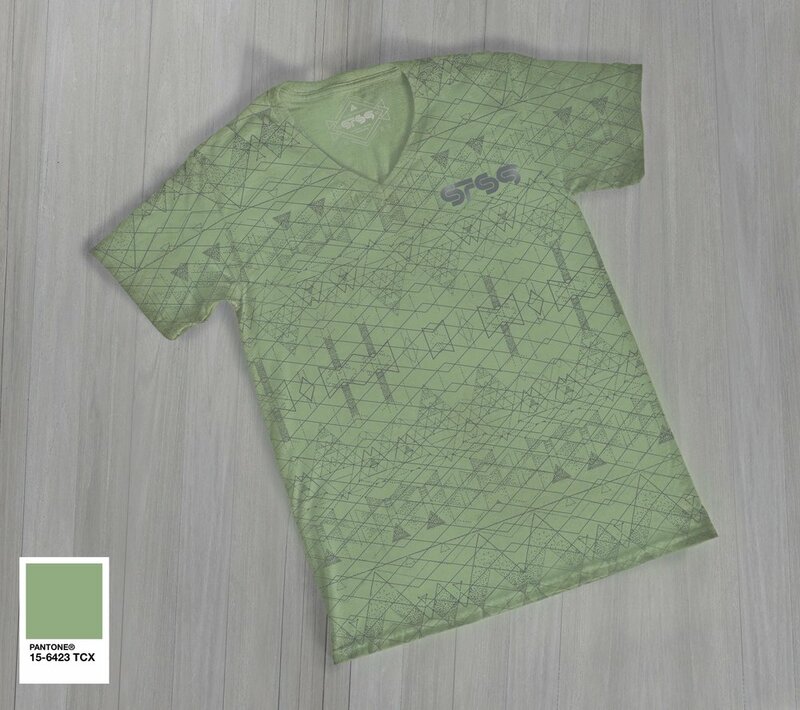 This tee was rotary printed (roll-printed) with reactive ink, then discharge printed with the tribal pattern. The cut/sew was engineered with a special pin process to ensure that the sleeves/collar and side seams match perfectly. Especially impressive is the exact pantone color match for the specific shade of green. The neck was printed (tagless) with the company and size information. 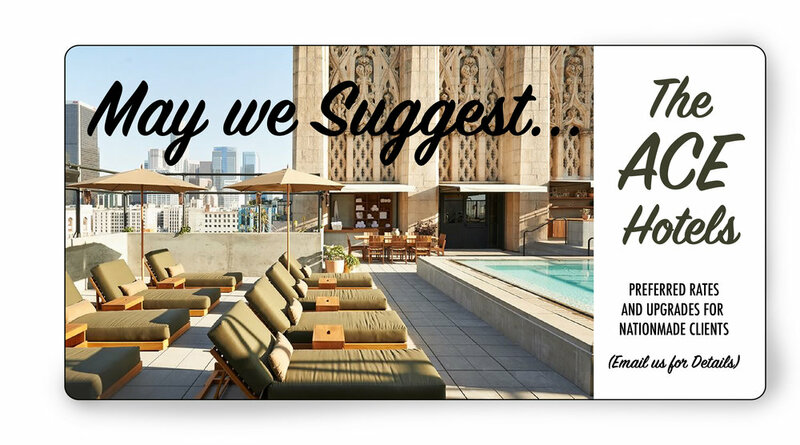 All printing and cut/sew were executed in Los Angeles, CA. CASE STUDY: TRU TANK. 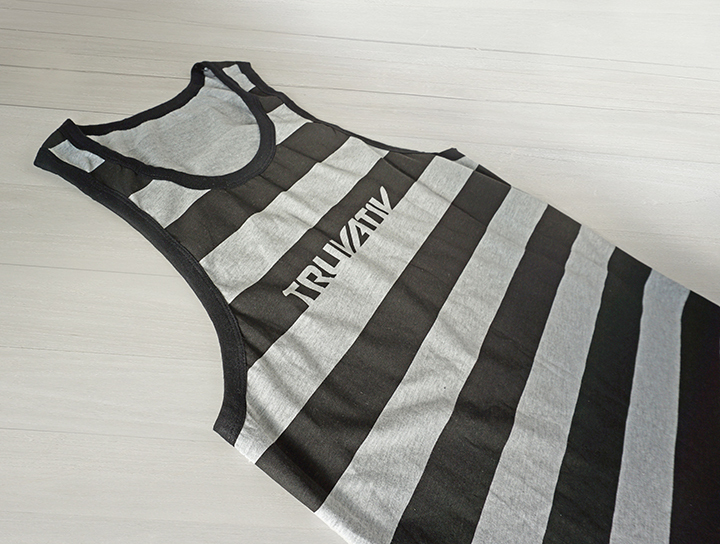 Custom rotary (roll-print) stripe pattern with the Truvativ logo reversed out of the stripe. 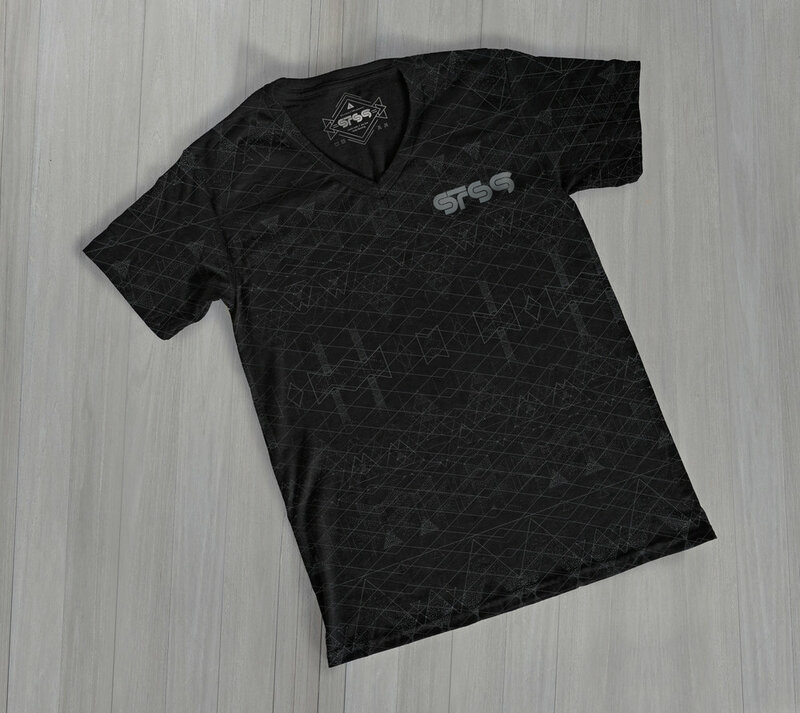 Printed in a tri-blend fabric and engineer cut/sewn for exact side seam matching. Contrast armhole/collar rib trim. All printing and cut/sew in Los Angeles, CA.